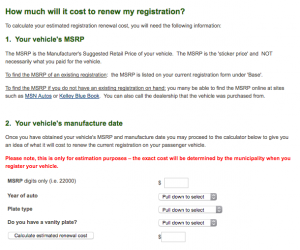 How much will it cost to register my car? 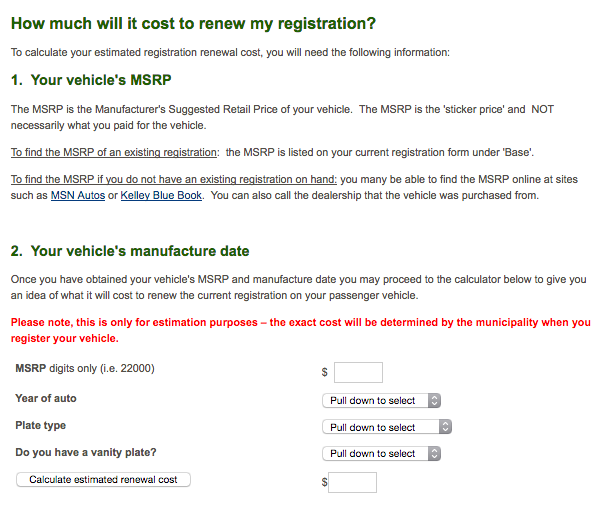 One of the biggest mysteries faced by car owners in Maine is the annual cost to register their automobile. Each year drivers stand in line at their town or city clerk’s office and write a check for the amount their are told. But where does that number come from? And wouldn’t it be nice to know it before heading down to the municipal office? Custom Communications worked with the City of Saco to solve just that problem. After consulting with the city’s finance office, we designed a simple calculator that allows a car owner to enter some key pieces of information about their vehicle and with the press of a button, receive an estimate for what their annual registration will cost. This solution has proven popular with other municipalities in Maine and is now in use in several, including the City of Bangor. One popular product at the local garden center is soil and mulch, often sold by the bag. But how much do you need to fill the planters you’ve purchased or cover the flowerbed you’re creating? 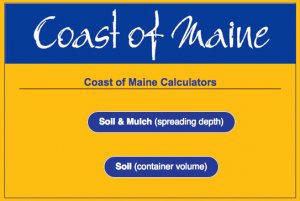 Coast of Maine Organic Products, which makes organic soils and composts that are sold at garden centers, wanted an easy solution. Custom Communications developed a desktop and mobile web app that does just that. Customers can enter the size of their garden (or planters), the size of the product they are purchasing and in second find out how many bags they need to buy. Want to know yourself? Feel free to try the Coast of Maine Mulch and Soil Calculators.